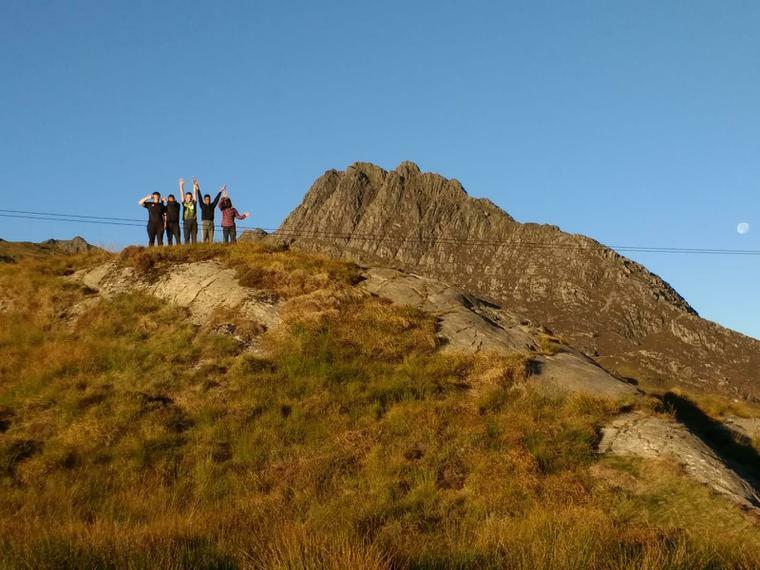 Year 11 students from Glebe completed their trip to Snowdonia today, having spent three nights under canvas in the heart of the North Wales countryside. The trip included walking up Mount Snowdon, the third highest peak in the UK. Although weather conditions prevented them reaching the summit, they made it all the way to Clogwyn, a point approximately 3/4 of the way up the mountain. The picture shows some of the party at the camp site in the Ogwen valley, with Tryfan, another peak, visible behind them.